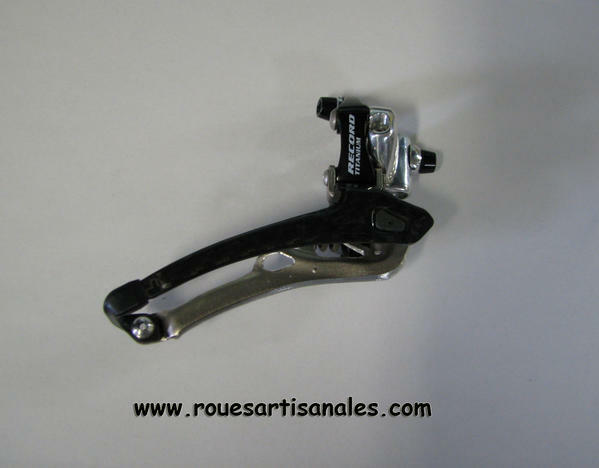 Record front derailleurs are amongst the lightest ones with only 69gr. Fairwheelbikes tuned one of them while keeping the same performance level. Almost every parts are machined, custom hollow carbon with aluminium pivots, spring is made out of titan while bolts are either in aluminium either in titanium. This amazing work is realized by David "the tuner" who brought this part at a crazy nice 44,3gr. 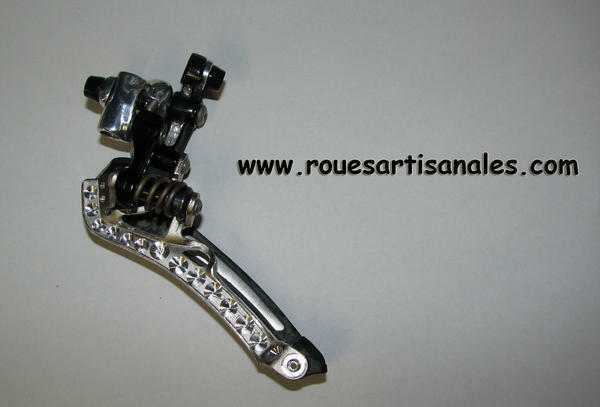 These derailleurs will be available from Fairwheelbikes as "Proto" model for $350.